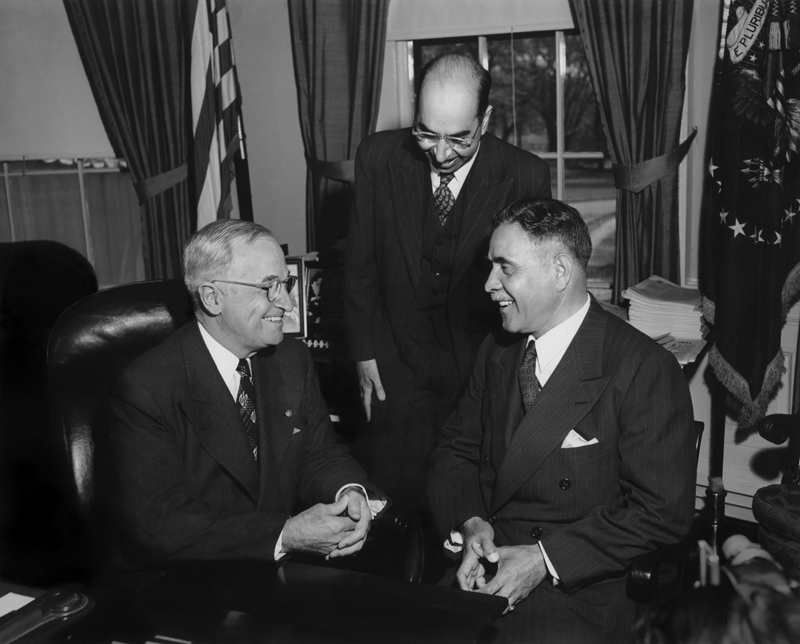 In Small Things Remembered » President Harry S. Truman confers with Prime Minister Shah Mahmood (right) and Afghan Chargé d’affaires Abdul Hamid Aziz (center). Chargé d’affaires Abdul Hamid Aziz (center). with President Truman at Blair House. Courtesy of the National Archives Still Picture Unit. 306-PSB-P-51-6701.